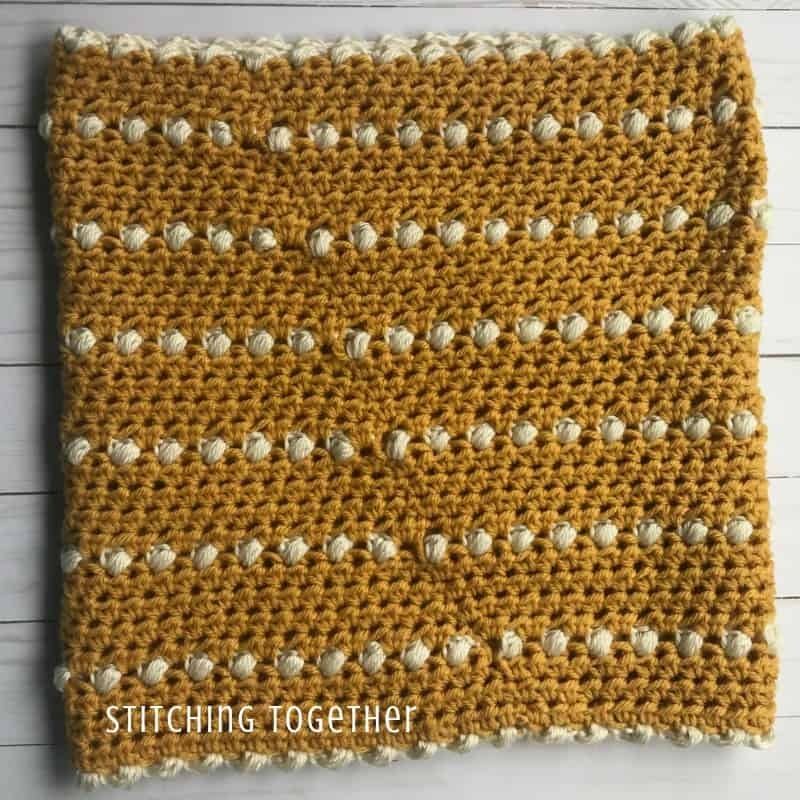 Isn’t this Peekaboo Puff Stitch Cowl just dreamy? I think most accessories in mustard, especially during the fall are dreamy, but I usually avoid mustard because it can make me look pale and washed out. BUT I LOVE IT SO MUCH. I couldn’t resist this beautiful mustard when it was on huge clearance at Hobby Lobby. Just because I look washed out with this tone, doesn’t mean you won’t look FABULOUS. 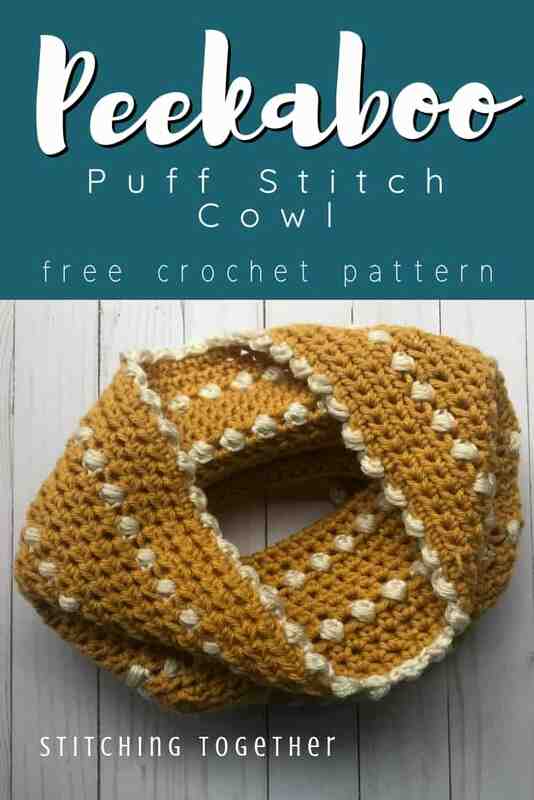 What About the Wool for the Peekaboo Puff Stitch Cowl? The yarn, I love this Wool Blend, has since been discontinued (hence the huge sale) but have no fear, there are other options/suggestions in the yellow box below! Even if the yarn wasn’t discontinued, I don’t know that I would suggest using it. The colors are GORGEOUS, don’t get me wrong, but for a wool blend, it wasn’t as soft, cozy or drapey as I expected. Well, at least the mustard color wasn’t. 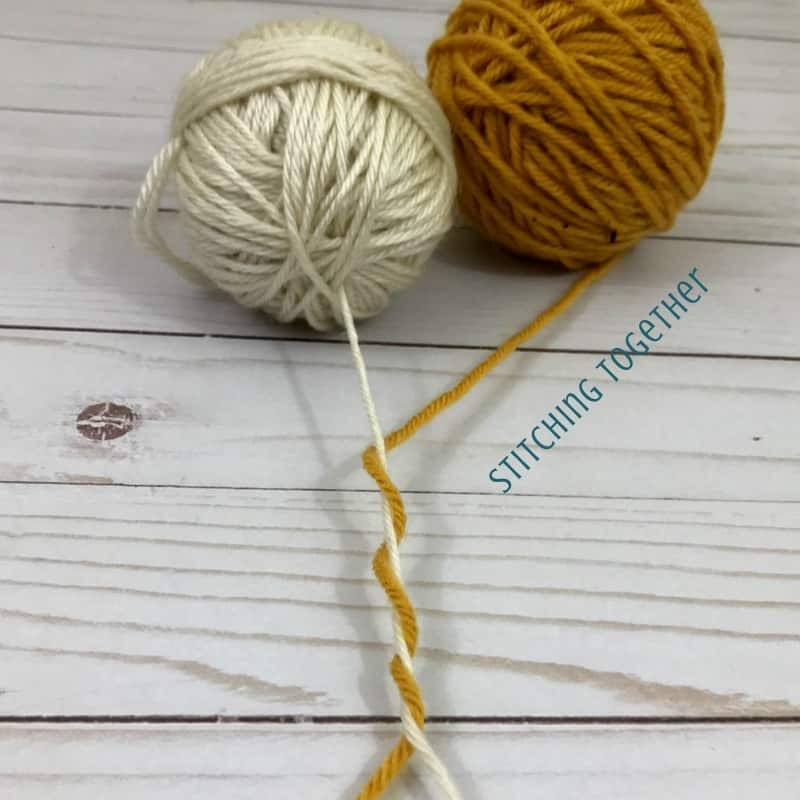 There was a HUGE difference between the mustard and the natural yarn. I kept checking the labels over and over again to make sure that they were the same yarn with the same specifications. They were, but I am not sure how! The mustard was SO much thicker than the natural. I would compare it to the differences in Lion Brand Vanna’s choice yarn and Heartland or Red Heart Super Saver and Red Heart Soft. (I could not find a dreamy mustard or gold color in Red Heart Soft which is why it isn’t in the yellow section below.) It was really strange there was such a difference in size and softness of the yarn. That being said, the cowl will look great if your yarn choices are the same size like they should be! 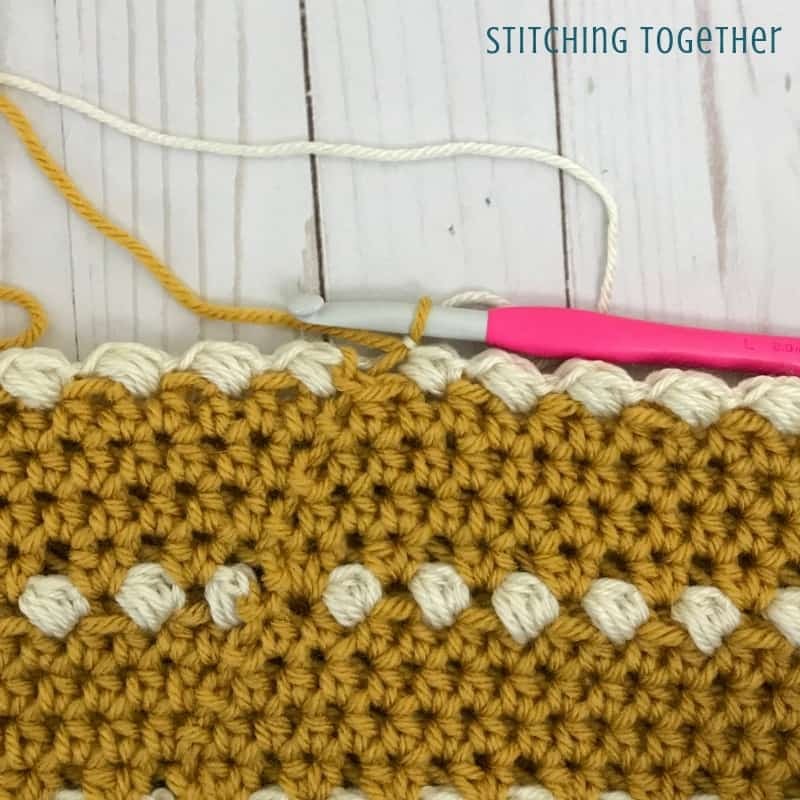 You may want to pay extra attention to the gauge if you are going to use a thinner worsted weight yarn though. I cannot count how many variations I went through to get the color changes and that last puff stitch of the round to be smooth. I even frogged an entire finished cowl because I just wasn’t happy with the drape or the color changes. It was worth all the effort because it turned out great and you can barely see the seam. Once you’ve finished, you may want to turn the cowl inside out and look at the inside. I actually like the inside better than the outside! That extra loop from the hdc adds such good texture between the rows of puff stitches. Whichever side you prefer, you can’t go wrong! 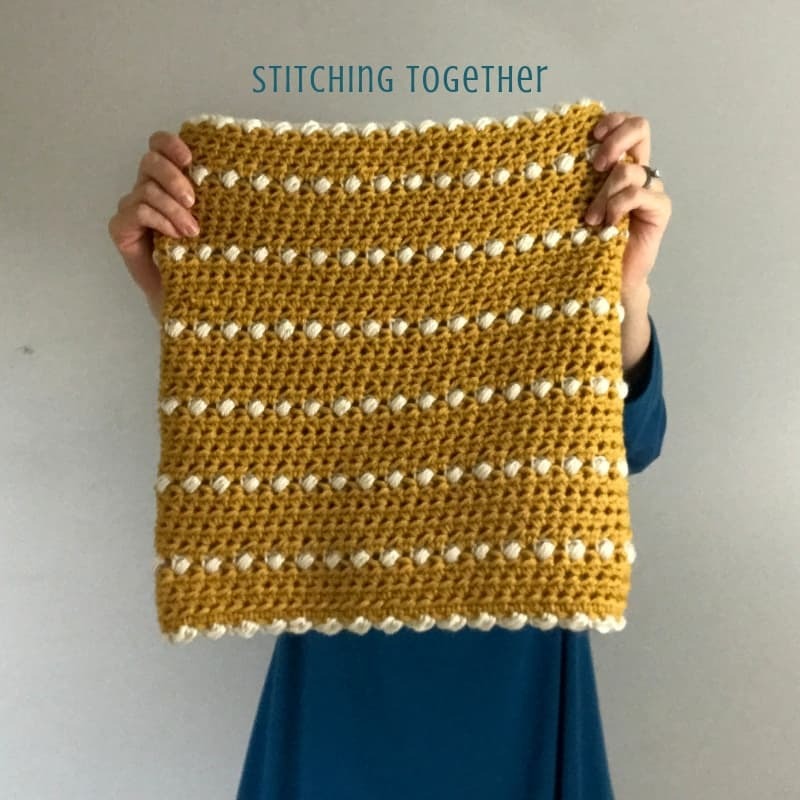 You’ll want to save this pattern to your Pinterest boards before you forget! 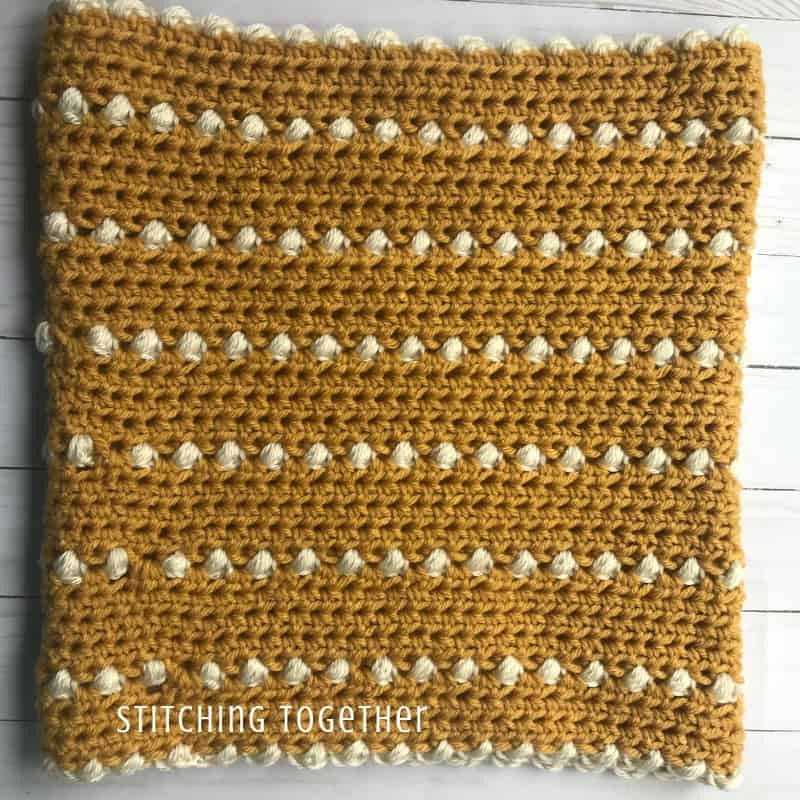 The puffs within the cowl and the puffs along the top and bottom are almost identical except you pull up three loops for the puffs within the cowl and only two loops for the puffs (small puff stitch) on the top and bottom. To adjust the size, keep the starting chain an even number. yo, insert hook into st, pull up loop, yo, insert hook into same st, pull up loop, yo, insert hook into same st, pull up loop, yo and pull through all seven loops on the hook. After completing the last puff stitch of the round change colors to the main color to chain 1. 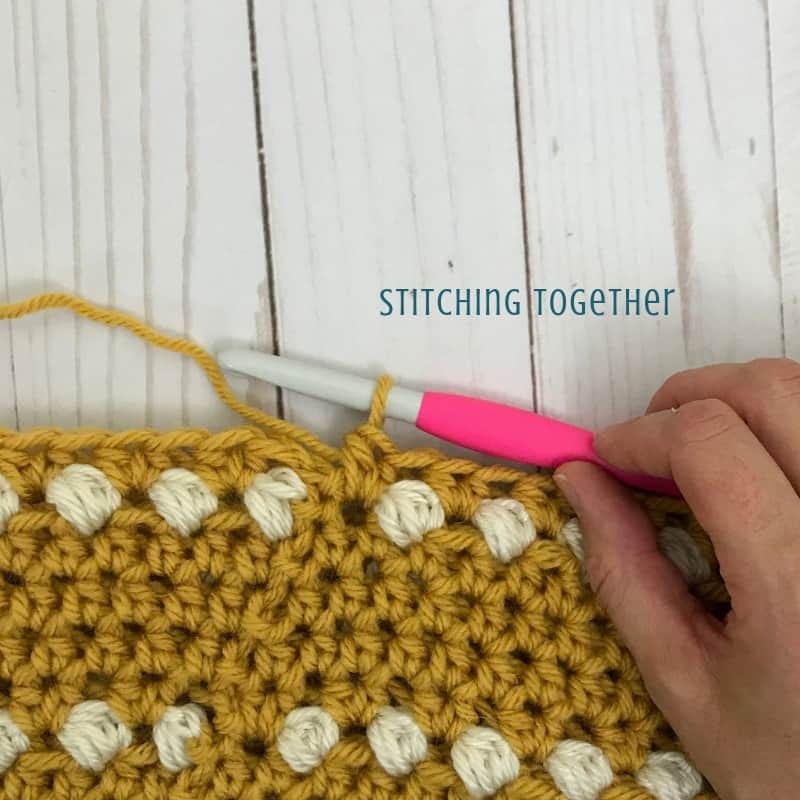 Slip stitch into the last hdc of the previous round, ch 1, skip the puff stitch and hdc into the first chain 1 space after the puff stitch. Add another hdc in that same chain 1 space. Continue to put 2 hdcs in each chain 1 space after the puff stitches. When you finish the round, you are still going to crochet 2 hdcs in the last chain 1 space. This space ends up a little bigger since there was a color change in the previous round. 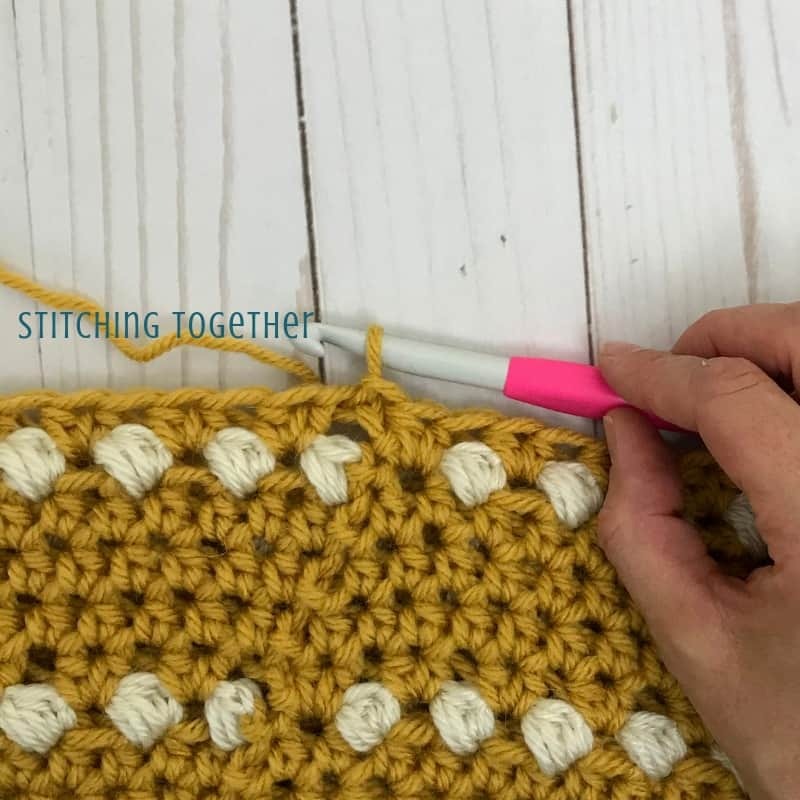 Slip stitch to the top of the first hdc of the round. With MC, ch 66, join with sl st to the first chain to form a circle. R4: join CC, [ps (see stitch instructions) in the same st, ch 1, sk 1, sl st into the next st] 32 times, ps in the same st, join MC, ch 1, st sl into last st of row (you will not sk a st). 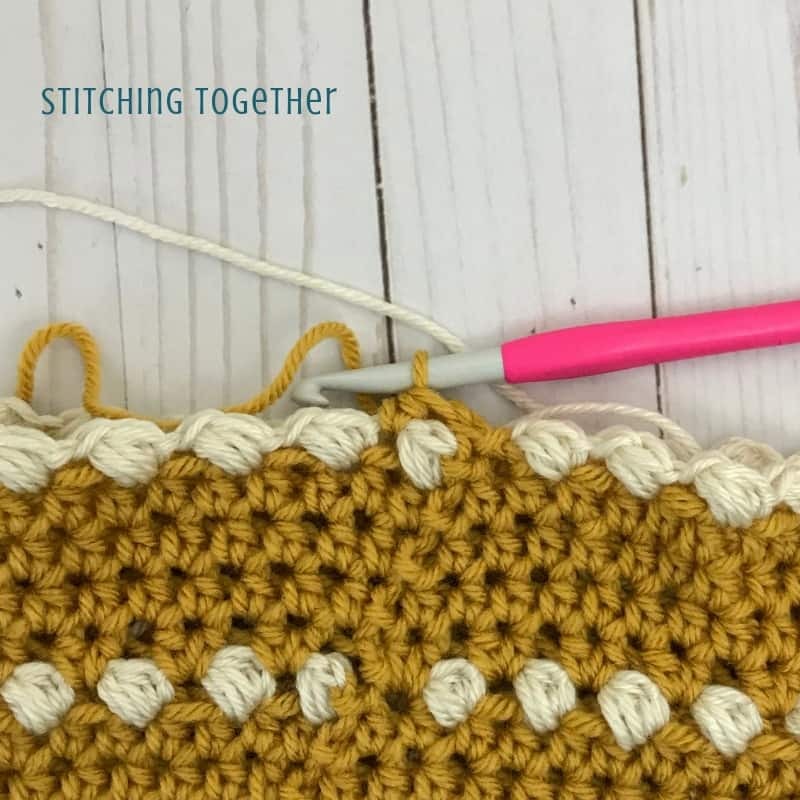 Top border: join CC, [small ps (see stitch instructions) in the same st, ch 1, sk 1, sl st into the next st] 32 times, small ps in the same st, ch 1, st sl into last st of row (you will not sk a st). Fasten off. 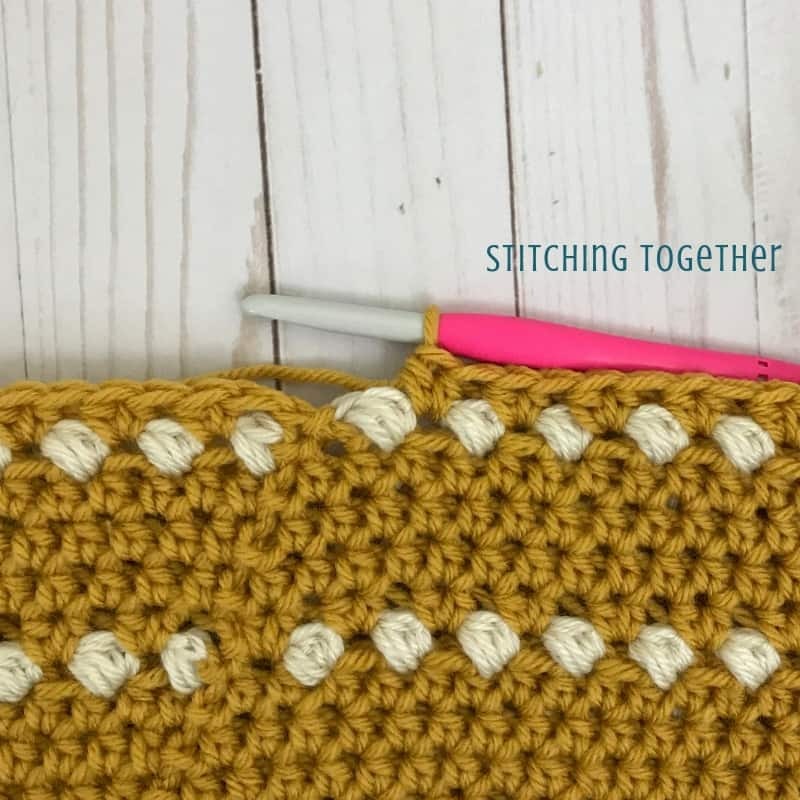 Bottom border: turn the cowl upside down and join CC anywhere on the starting chain, [small ps (see stitch instructions) in the same st, ch 1, sk 1, sl st into the next st] 32 times, small ps in the same st, ch 1, st sl into last st of row (you will not sk a st). Fasten off and weave in all ends. Now that you’ve read through the pattern, are you ready to get started? Be sure to check out the Peekaboo Puff Stitch Hat crochet pattern as well. You’ll love it as much as this cowl! 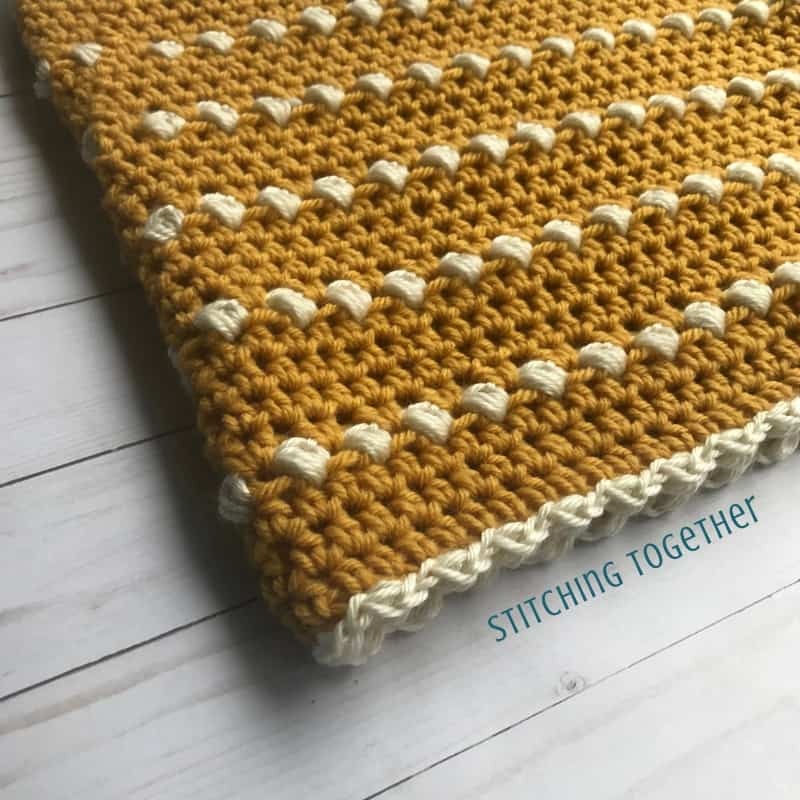 This pattern is adorable–I love it!! Do you think this would work up ok as a scarf vs a cowl? I want to make it as a gift, and the recipient doesn’t usually wear cowls. I think it would. You could do it as an infinity scarf that she could loop if she wanted to. I plan on working on a scarf pattern eventually but probably not as soon as you would need it!